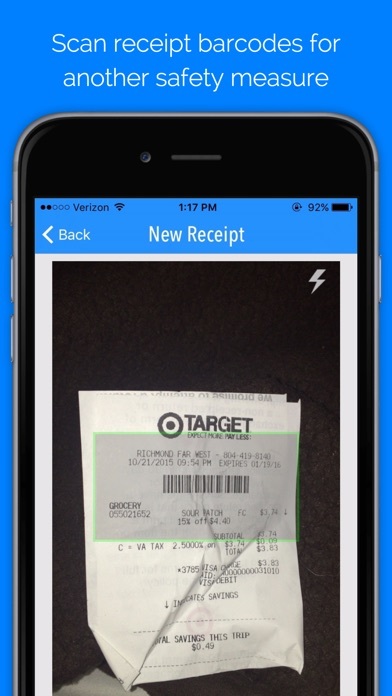 Tired of sorting through your wallet or purse looking for a lost receipt? myReceipts can help solve that. Storing receipts has never been easier! 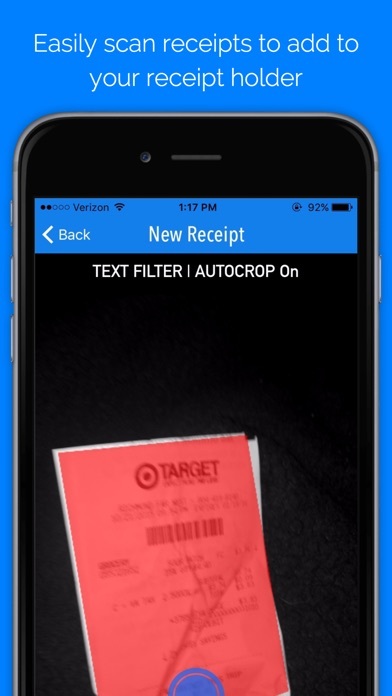 - Easily scan your receipts to add to your receipt book - Or choose from your photos - Scan the barcode for a safety measure (if a barcode is available to scan) - Categorize your receipt based on the type (Store, Food, Fuel, etc.) - Print / Email your receipt if you would like a physical copy as well The whole process takes under a minute! Paid for this app, put all information in for the receipt including barcode and picture. When trying to save the receipt it just keeps saying saving for over 15 minutes and will not save. I’ve tried 3 times. Don’t waste your money. I was never able to upload not one receipt! It says saving bit some how it never saves. I want my money back I don’t care if it was only $1. Did not work from the moment I tried to upload first receipt. Uninstalled and reinstalled the app several times. Never cooperated. Hey, it was only a buck, but sadly I didn't get my money's worth. I paid the $.99 and tried several times to load 1st receipt and it kept freezing. Never got to load 1st receipt. App tends to crash when you save a recipe! Crashes and doesn't let me enter receipts. Please refund! Very unhappy. 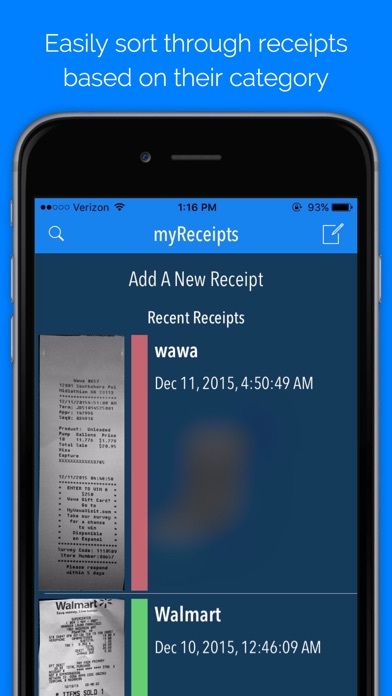 Easy to enter receipts and add category. Shuts down every time a receipt is entered, so you have to reopen to enter another receipt- seems like a glitch. Wish it would total each category. Overall happy with it, and hopefully glitch will be fixed soon.